I’ve reviewed the entire 300+ page National Academy of Sciences report—clearly a major undertaking by all the scientists involved and a bit of a “heavy” read—including its academic findings and recommendations (“A Way Forward”) which are, in the end, woefully predictable. Thinking about it, however, the scientists who created the report really had no choice, given the limits of the Wild, Free-roaming and Burro Act itself, if we are to accept that, but to work within its boundaries and the conundrum set upon them by that law’s specious political and land management premise and somehow respond to the task put upon them by the BLM. Clearer and more honest minds might have said, “I want no part of such a nasty, skewed project.” I also gleaned the biographies of each scientist to see what kind of understanding they would bring to the table regarding horse care based on their education and training, and if they seem like “clear minded” thinkers who could think outside the box in the best interest of any horse. On that note alone, wild horses are in trouble. Because the “limits” put upon the NAS committee by the wild horse law are what they are, and because these are basically mainstream scientists drawn out of academia, it is entirely logical that they would recommend regulating wild horse and burro populations, in their words, “with science”. But what kind of science, one might ask? Well, the fact is, it’s the same brand of science, and scien- tific minds in today’s academia, that has failed the domesticated horse. We’re talking about scientists who serve the special interests of government and its lobbyists, the agricultural and pharmaceutical industries, and so forth, that have given us drugs and feeds and management practices that cause laminitis and other metabolic breakdowns of the horse. Indeed, it is all profitable for the very community that has created this “science based” disaster for horses. I’m not just spewing words here without foundation, horses truly suffer for it, and it is this bad science and corresponding harmful equine management practices that have given birth to and fueled the internationally burgeoning NHC movement. That is a fact—and it is a fact also that these scientists, and the special interests that fund them, refuse to acknowledge NHC because what we do and advocate for gets directly to the bottom of ethics and profiteering and inbred academic close-mindedness. The authors of this NAS report have very skillfully woven together what is genuinely good sci- ence with the bad, while ignoring other good science altogether—all to the end of supporting the bogus proposition that their brand of “science” favors a lasting solution for wild horse management. If one reads their report carefully, however, one can sense the palpable excitement and impatience behind their drug-based recommendations. 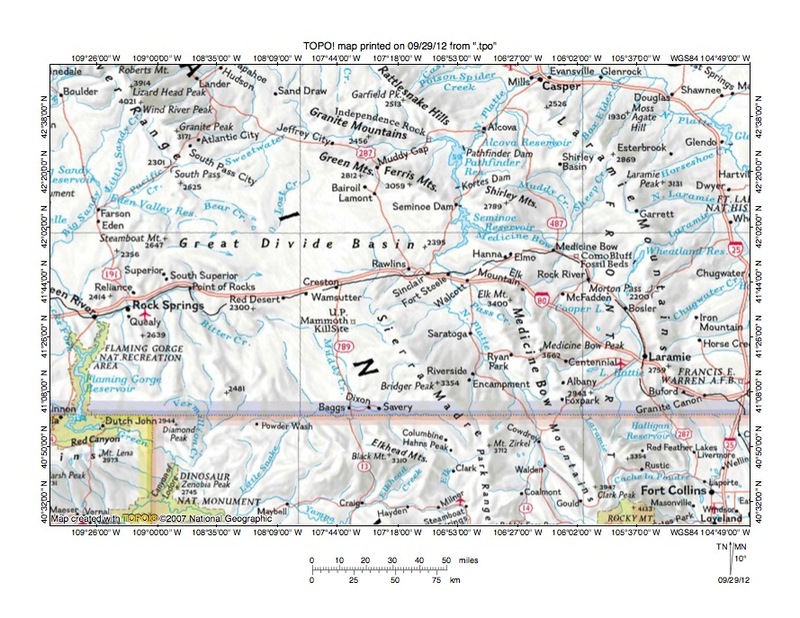 For example, they urge the BLM to step up an accurate numbers count in the HMAs (which, arguably, given that agency’s past, can never be trusted) because, they suggest, the quantities of PZP and other pharmaceutical agents needed to cleanse wild horse country will surely be vastly greater than what was used in their scientifically con- taminated control study done to the Assateague ponies of the U.S. east coast (cited in their re- port). Assateague was not good science, anymore than what has happened to those horses long before the government’s study. It catered to the drug industry and the same eugenics science that the U.S. and British governments sanctioned and used against people during the greater part of the 20th century (up to the 1960s and 70s), and that was astutely “borrowed” from by Nazi Germany for its extermination campaigns to “rid the world of undesirables”. Just as tactfully, and just as predictably, the NAS authors stated that predation behavior was not viable, ignoring Drs. Turner and Morrow’s mountain lion predations studies referenced in my books, The Natural Horse and Paddock Paradise, and which proved the viability of natural predation on wild horse herds. Of course, the reason that natural mountain lion and wolf predation won’t work, and which the NAS report fails to explain, is because BLM management practices have provided for their extermination and/or removal under welfare ranching pressure that deflects the truth of what’s happening within their grandfathered land leases born of the Taylor Grazing Act and the BLM’s inception. I could easily go on, and on, and on, nit picking the massive tangled NAS report, but would just be wasting my time and yours with the report’s self-serving “word salad”. The fact is, there is no genuine solution in their report that respects the natural integrity of America’s wild, free- roaming horses. And there is no debating the authors of the report either, for they are completely sold out to the very special interests who have never seen value in our wild horses. 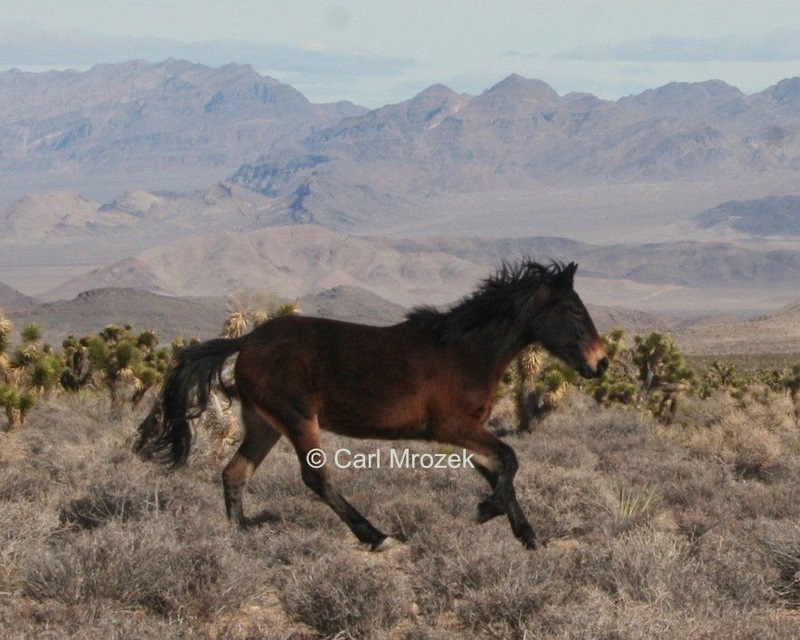 In fact, it is the science community that has recently aided and abetted the government in reclassifying wild horses legally as “pests” so that the pesticide PZP can be used on them for birth control purposes. You see, the NAS report is no surprise, as its convoluted “commandments” have been systematically orchestrated and colluded with by just about everyone in sight, including—and I am sad to say—nearly every purported “wild horse protection” group and sanctuary in the United States. Many of these groups stand to “gain” from this collusion, including the HSUS that co-owns patent rights to PZP. Tax payers can expect to pay more, not less, as they watch their wild horse herds deteriorate genetically under the government’s Nazification of the HMAs through racism-based eugenics. This is because there is profit motive at its foundation. In fact, the report cautions that “public confidence” and trust will be an important part of the “master solution”. Inundating tax payers with scientific “word salad” that few can understand, is understood. Clearly, the public does not understand the underlying issues, except what they hear in the news. From that vantage point, this does not bode well for our wild horses. 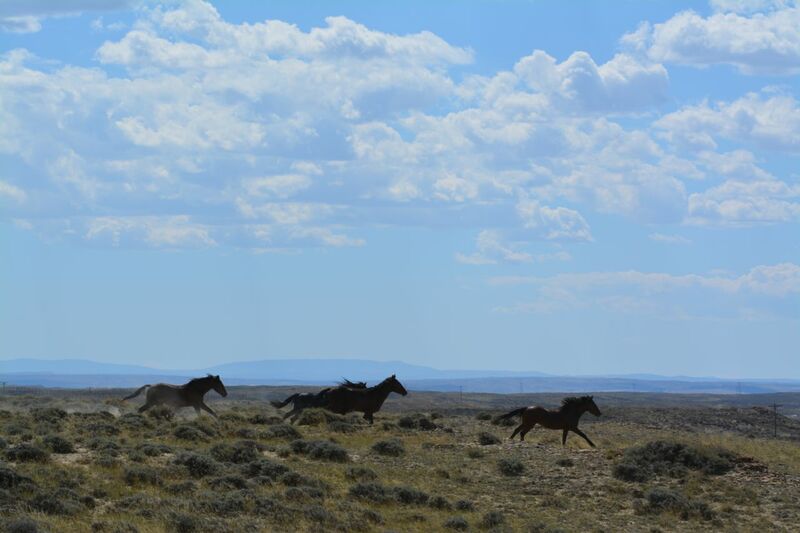 What is needed is a new vision and a new law for genuine wild horse preservation. The current law is bankrupt and offers no real protection, let alone preservation. Science, industry and the big government have joined claws and are at war with Natural Selection, because they are losing—and they know it. And, it is for this reason, that Science is now being called upon to step up the delusion that the war on nature can and will be won. Like the war on cancer, no such victory is forthcoming. But because the war is profit driven, the war is welcome. Read the NAS report with a critical eye, and you will see this. In the end, HMAs will become zoos with GMO wild horses. Like those we see in the wild horse protectionist’s “sanctuaries”: sad, pathetic parodies of real wild horses. 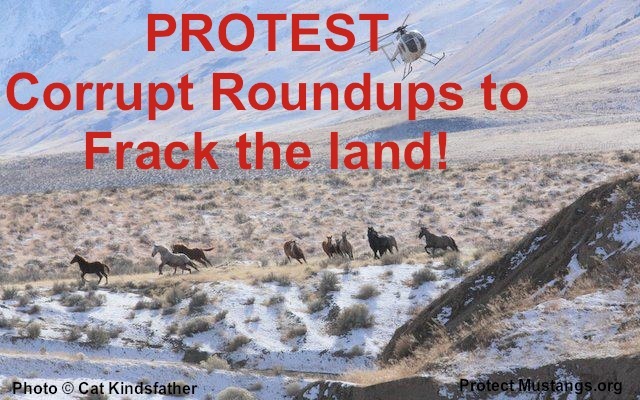 Is this what the public envisioned when it stood behind the original wild horse protection law? Of course not. 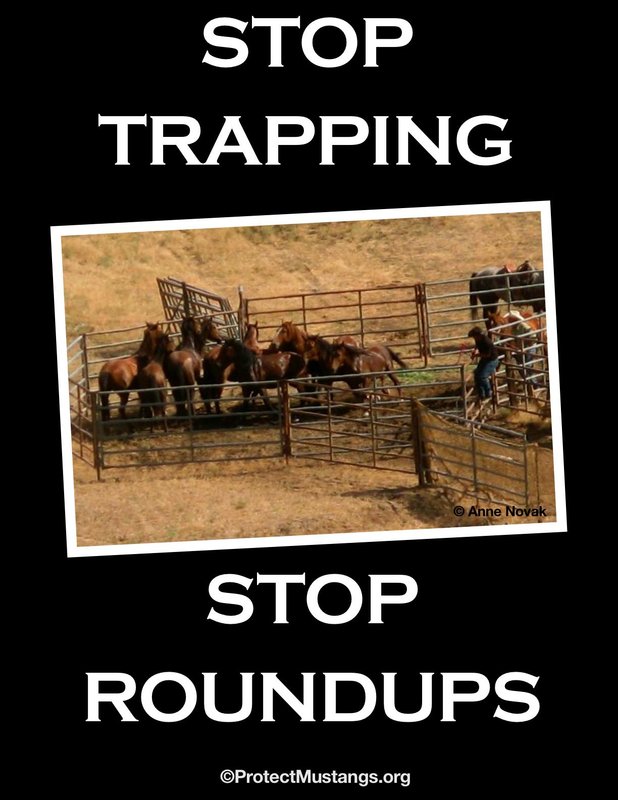 but, here today, government and science and industry (and its camp following ersatz wild horse protectionists begging for crumbs), all hand in hand, are going to exploit wild horses and unwitting taxpayers for what they can—until, at long last, nature has proven them wrong, and the deceptive game is exposed for all to see. The Assateague model, which they will cite and hold up, is a broken one. But they are counting on an uninformed public to buy into it. Those of us in the NHC movement know better and can refute it with facts by simply looking at the hooves of those horses, if not the non-adaptative environment they are squeezed into be- cause of an historical fluke. Looking through the bios of the NAS committee members, I seriously doubt that any of them would have a clue of what I’m talking about. The Obama Administration, as much of the voting public on both sides of the aisle have come to realize, is a compromised, “sold out to big industry” travesty that is going to stand be- hind the eugenics science and land grab scheme fully intended to bilk the taxpayer and pad the pockets of profiteers who, quite frankly, don’t give a damn about wild horses. That includes Sally Jewell, Obama’s hand-picked clone of Ken Salazar to head the Department of the Interior (BLM’s overseer), who is no friend of the wild horse or any horse. She came right out of big banking and the oil industry. Check out her bio on her DOI government website. She will go right along with “big science” because that is where the money is and because, the fact is (and it is not rocket science to figure it out), it will lead to the decimation of wild horse herds. James Kleinert’s film “Wild Horses and Renegades” draws a direct line between Jewell, “wild horse pests” and their extermination, and the land grab now going on in BLM country by big industries such as BP and backed by the Obama Administration.